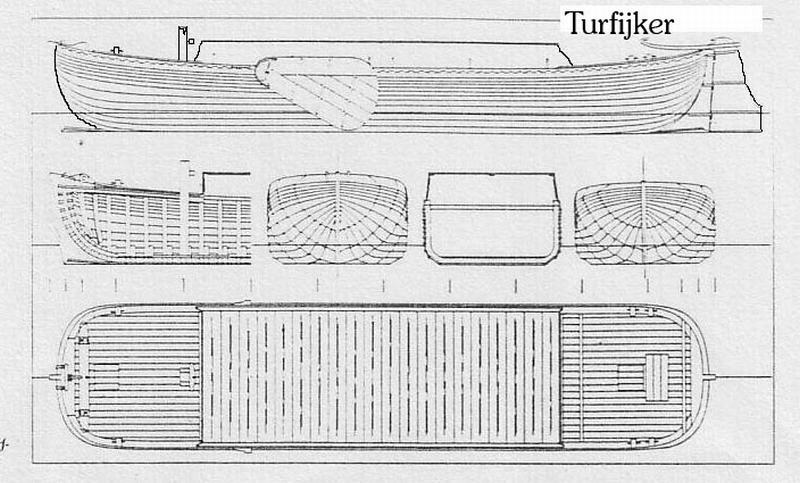 Artist and craftsman, Henny Fransen has sent his plans for building a Turfijker or peat ship. Peat villages arose as long ribbons of construction along the canals of Holland. The canal first served as a drainage channel for the peat district and later for the transport of the peat that had been cut. All kinds of small businesses soon grew up along the canal. The many barges and ships that navigated along the canal, occasionally more than 15,000 annually, brought great economic activity, especially at the locks. Heavily laden peat ships sailed via the former Zuyderzee (now the Ijsselmeer). The peat was primarily exported to the Province of Holland, where cities like Amsterdam, Rotterdam, and The Hague were the main consumers. Many peat-bearing ships found their ultimate resting place on the seabed during the traditional November storms. 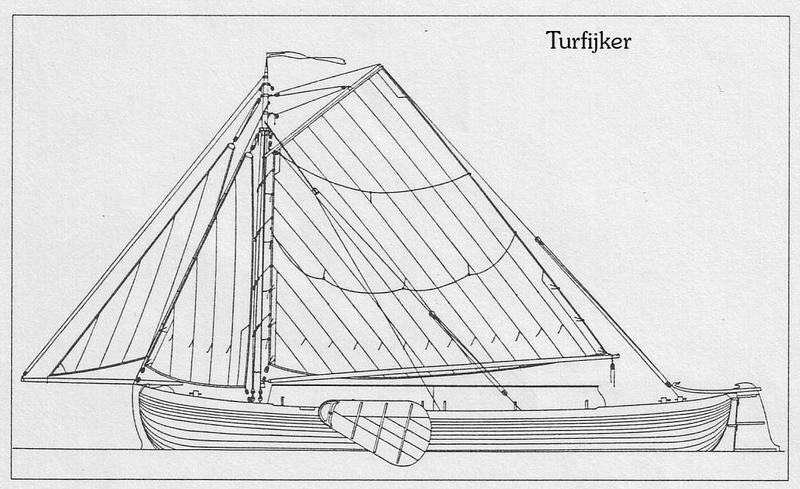 Various shipwrecks were revealed when land was reclaimed during the construction of the Ijsselmeer polders. This ship in a bottle is a one mast peat ship is an 1880's style. 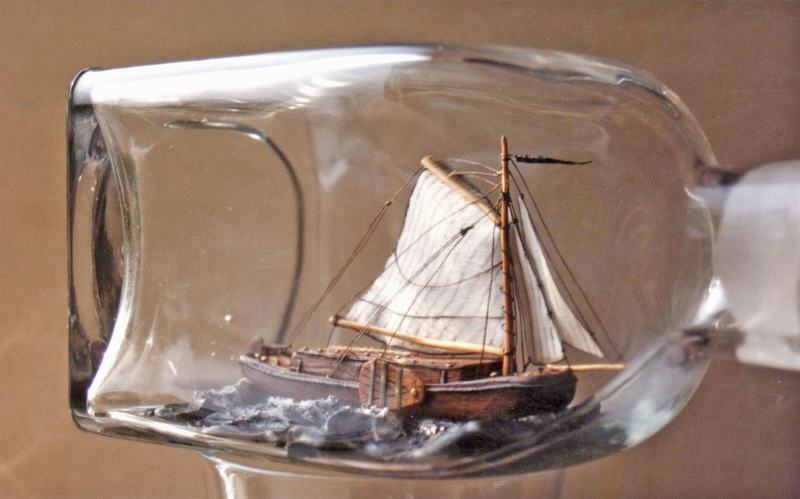 This model was made by Henny Fransen and it was the 32 ship in bottle that he has crafted.